In a previous life, the customers’ house had once been a shop, serving the community and often full of people. 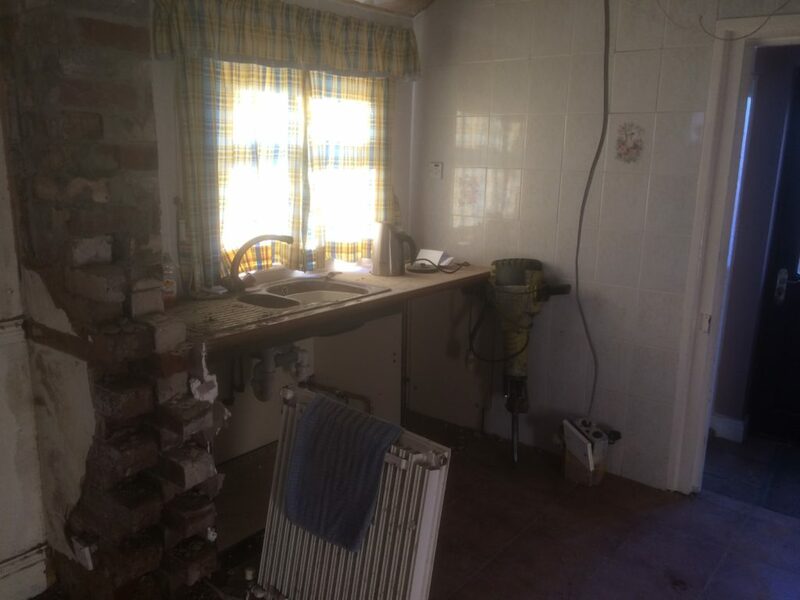 Now, many years on, its kitchen area had become tired, traditional and lacking in space, with no room available for dining in the kitchen, forcing its occupants to eat in a separate room. 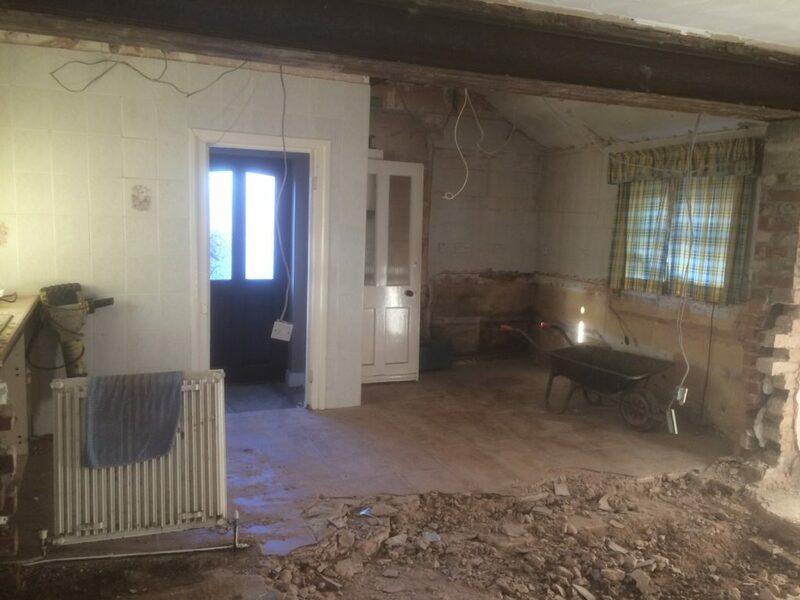 The new owners started their vision to create an open plan kitchen, leading directly on to the garden, by removing existing walls and extending the space. 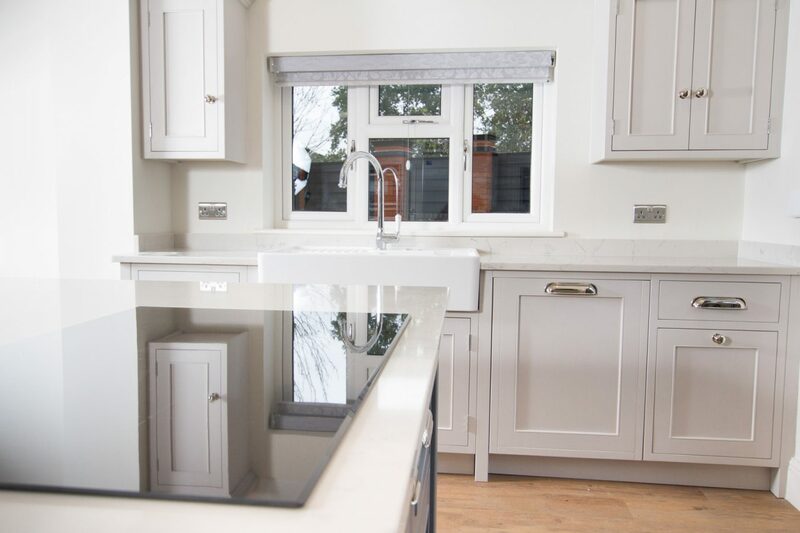 When Mudd & Co were asked to design, the customers had builders on site most days with a final completion deadline of 6-8 weeks. Keen to achieve the finish they desperately wanted, the customers worked closely with the Mudd & Co team to perfect each detail, from units and appliances to handles and door inlay styles. The customers wanted an open space with areas for multi-functional use. With a family including two lively boys, practicality and storage were both important requirements. 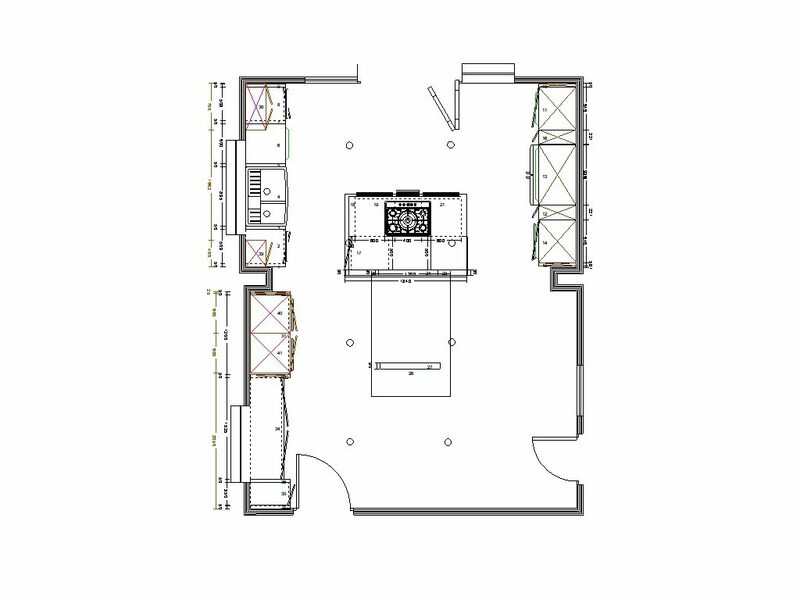 The customers wanted a dining space for up to 8 people, adequate space for entertaining and a leisure area featuring a sofa and tv, to allow guests to relax during dinner parties or social gatherings. 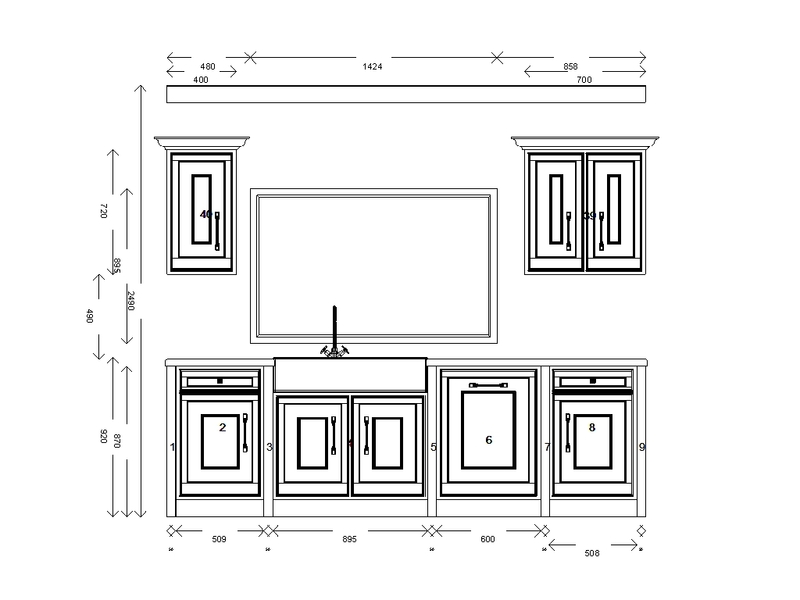 A mixture of units were incorporated into the final design, including double and narrow cupboard units; deep pan drawers; sliding, pull-out narrow cabinets for space saving; multi-functional larder; kitchen island connected to table. 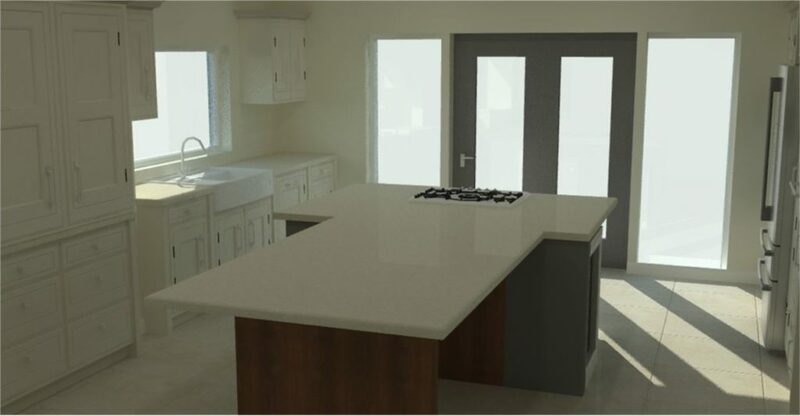 As the customers were quite hands-on with the project, they had instructed their builders to take the measurements of the kitchen space to speed up the process. This was then sent to Mudd & Co to present design proposals in line with the customers’ specifications. 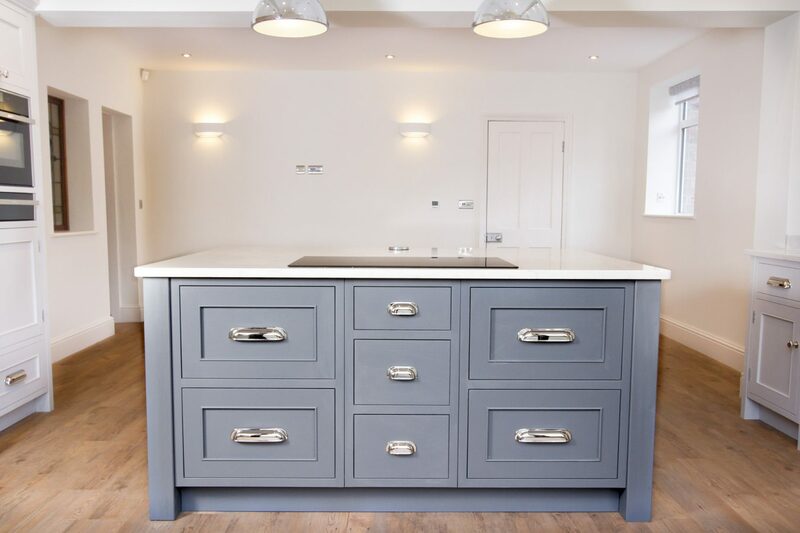 On approval of the comprehensive drawings and detail plans from Mudd & Co, the customers signed off on a kitchen that would make the most efficient use of space possible. 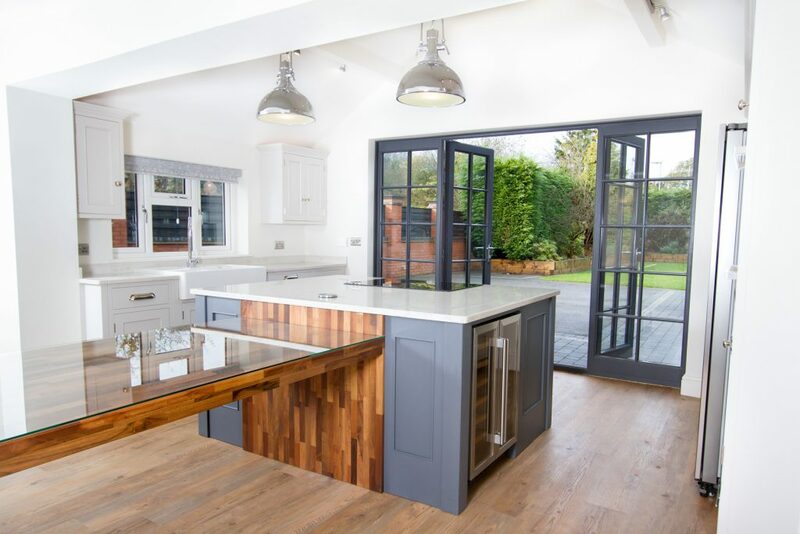 The design included a large kitchen island with built in hob and connecting table with walnut top, and a beautiful larder with an integrated, hidden worktop to enclose coffee machines, cups, utensils and other unsightly kitchen appliances. 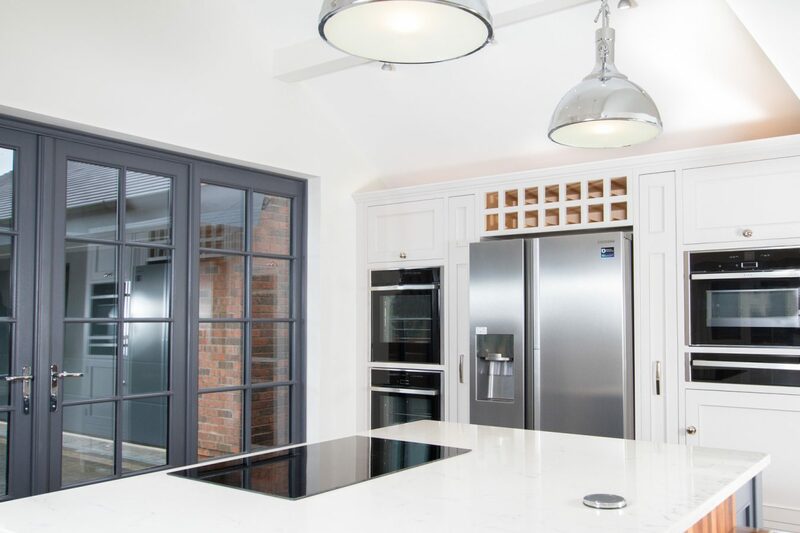 Mudd & Co assisted the customer with sourcing suitable appliances, including a large American fridge freezer, three multi-functional ovens, dishwasher, washing machine and a top-of-the-range microwave. 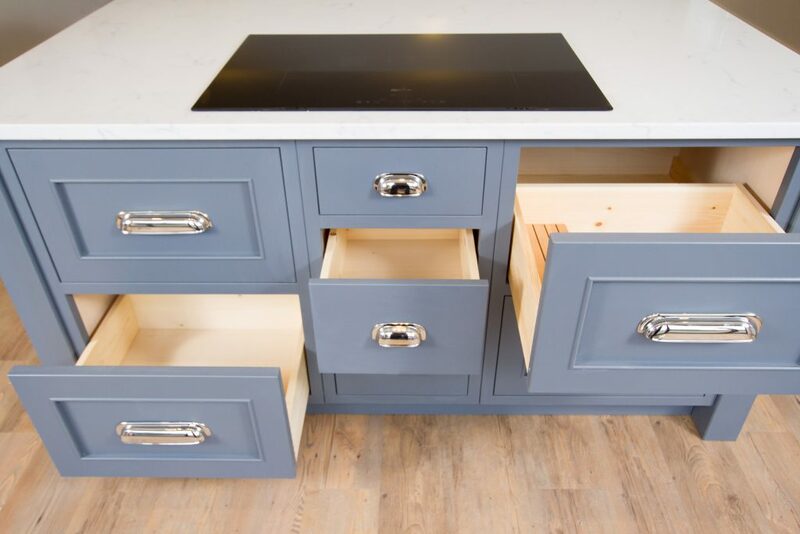 To complement the design, the team incorporated wine cooler cabinets, wine holders and space saving, extra large benches to provide the dining and seating space the family required. 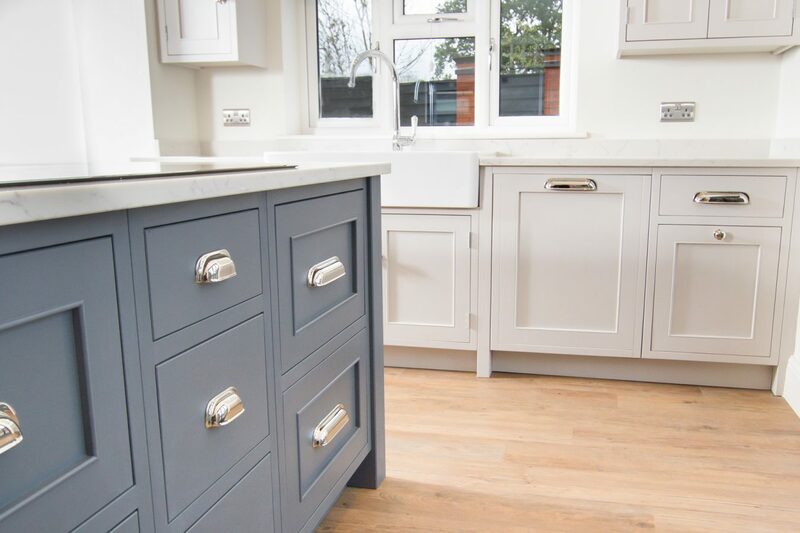 The project and final result achieved in the Hallwater kitchen has been an absolute delight for Mudd & Co to be involved in. The kitchen is now a large, open space with plenty of light, only emphasised by the Strong White colour of the walls that beautifully complements the crisp carpentry and handcraftsmanship. But more importantly, another happy customer!